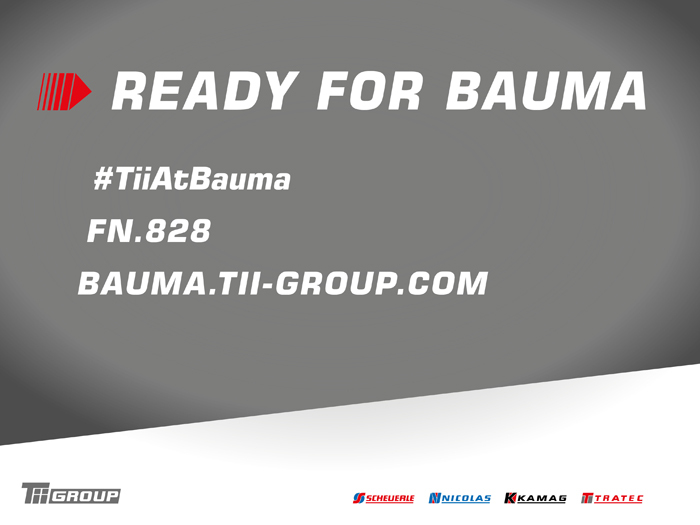 From 11th to 17th April, the TII Group is presenting at the bauma in Munich (FN.828). On its 2,000 m² stand, the global market leader in the production of vehicles with hydraulically-supported pendulum axles will be showcasing a large number of innovations. At the bauma as well as in the daily work of the TII Group, the customer is the focus of attention. Their feedback resulting from day-to-day transport operations flows directly into the development of new products. Many new products which have been adapted to suit the requirements in tough everyday transportation activities will be on display at bauma 2016.